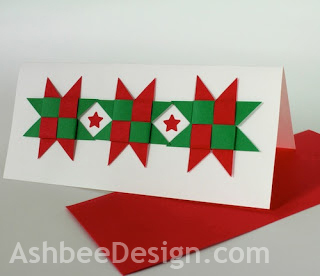 You can tell by my photos above that I lean strongly to the classic red and green in contemporary graphic designs. Interesting that I have a selection some white or neutral samples this year. I love the corrugated cardboard used here. 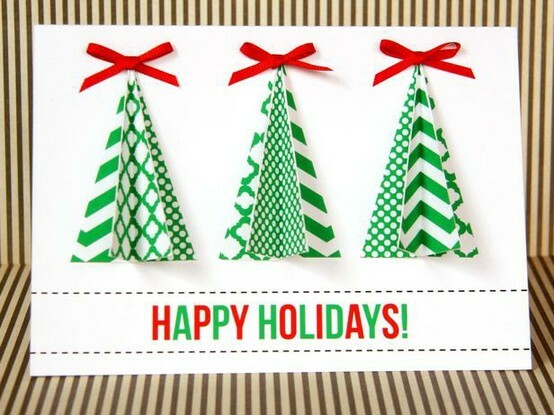 Love the patterns on the pop-up trees. 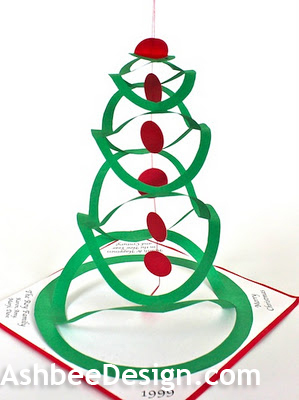 I like the folded circle to create the tree. 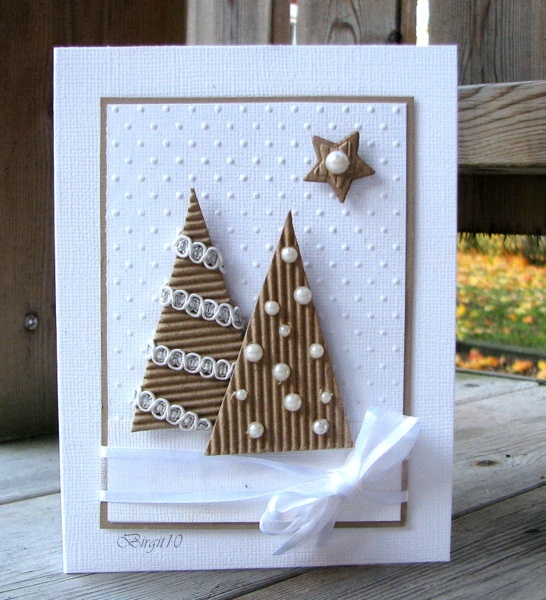 I use the tree theme often and this is a new approach for me but fairly classic in card design. 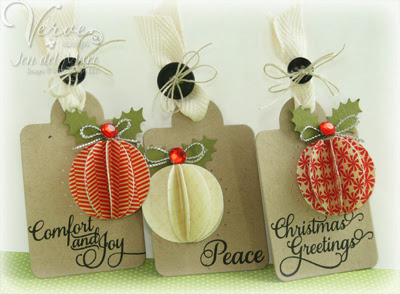 These Christmas tags use a technique similar to the patterned trees . This could be adapted to a card design. 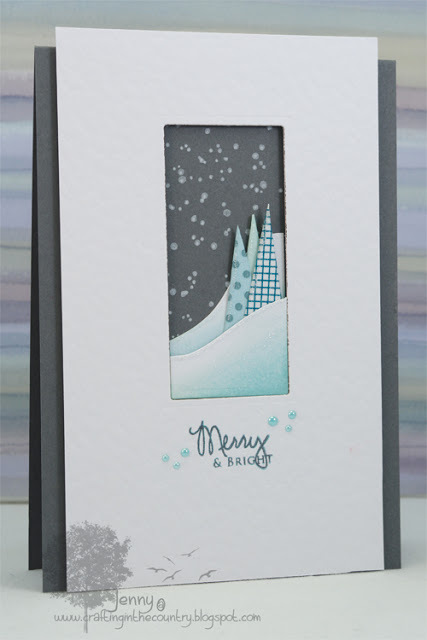 I love the gradated snow and softness of the above design. Several all white samples appeared in my Pinterest board. Love the lattice weave above. I have always loved embossed paper. I used it in my card last year and love the application here. I might need to learn how to make my own! 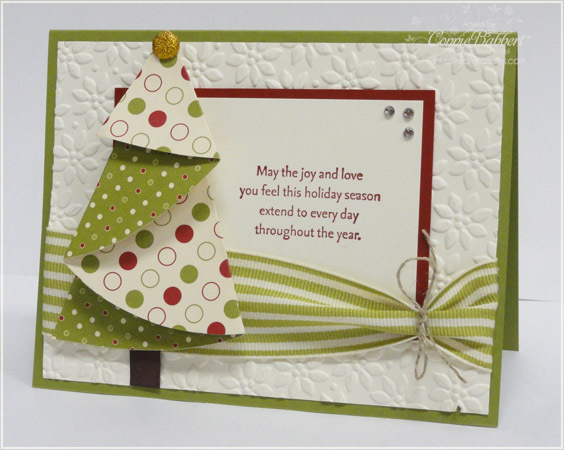 Here are links to the thirty years of Christmas card designs that I have crafted and sent with love to friends and family. Wonder what this year's design will be. I will have to come back and check out your list for the last thirty years. Love the examples above. 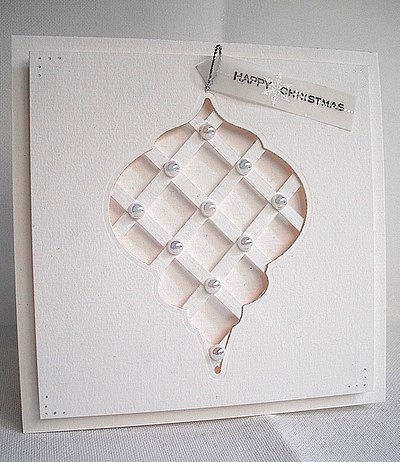 Especially the very first card....so clever. Thanks for sharing. Let me know which of all 30 years is your favorite. There is quite a selection. 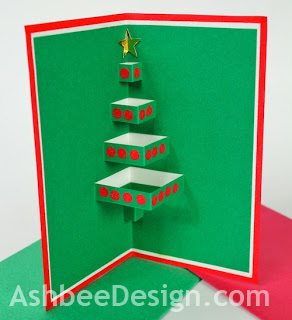 I am hoping to get a Silhouette cutting machine for my birthday and that should open up some great possibilities for cards. 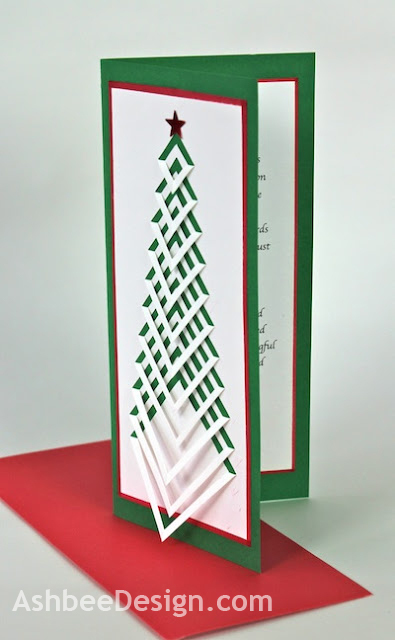 I cut all those little lines on that first tree by hand - for 70 cards. As always, thanks for visiting and commenting. I LOVE LOVE LOVE your cards!!!! 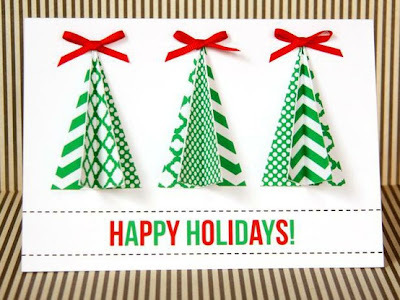 I can't wait how this year's card will turn out with all that inspiration!